The Orlando Miracle joined the Women’s National Basketball Association as an expansion franchise for the league’s third season in the summer of 1999. At the time, all WNBA clubs were located in NBA markets and operated by NBA ownership groups. The DeVos family, owners of the NBA Orlando Magic, managed the Miracle, which shared similar colors, logos and mystical name with the men’s team. After the 2002 WNBA season, the NBA sold off all of the WNBA franchises to the operators of the teams. Magic owner Rich DeVos was not interested in keeping the Miracle, and no local ownership group emerged. In January 2003, the Connecticut-based Mohegan Native American Tribe bought the team. The new owners moved the team to Uncasville, Connecticut and changed the nickname to the Sun (in reference to the tribe’s Mohegan Sun casino.) The Connecticut Sun’s new nickname and logo were reminiscent of another Florida-based WNBA franchise, the Miami Sol, which folded at the same time as the Miracle. The Orlando Miracle were a Women’s National Basketball Association (WNBA) team based in Orlando, Florida. They began play in the 1999 WNBA season. The Miracle relocated, in 2003, to Uncasville, Connecticut where the team became the Connecticut Sun. 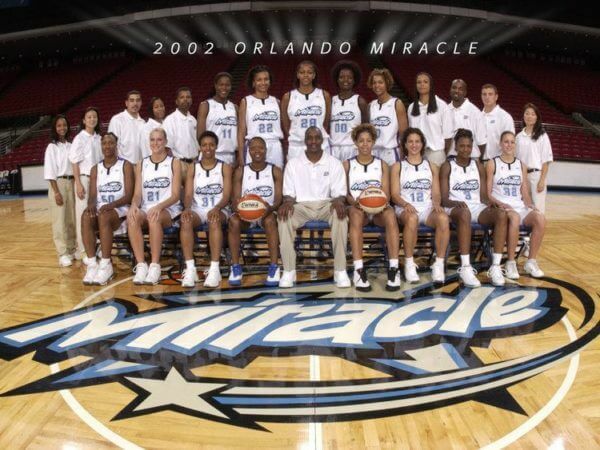 The Miracle was a sister team to the NBA’s Orlando Magic. Miracle – Is a highly improbable or extraordinary event, development, or accomplishment that brings very welcome consequences. 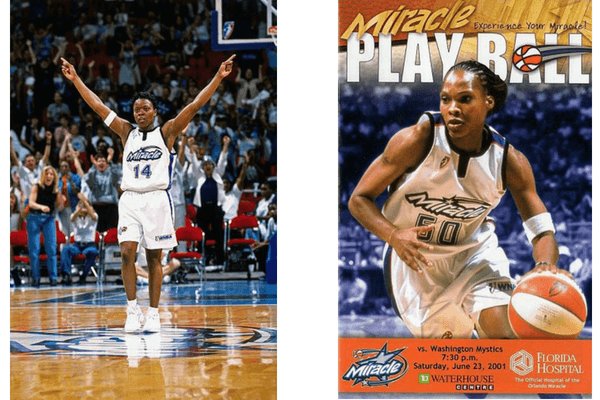 1999 – 2002 / RDV Sports, Inc.
Who is the greatest Orlando Miracles? The Orlando Miracle were a Women's National Basketball Association (WNBA) team based in Orlando, Florida. They began play in the 1999 WNBA season.